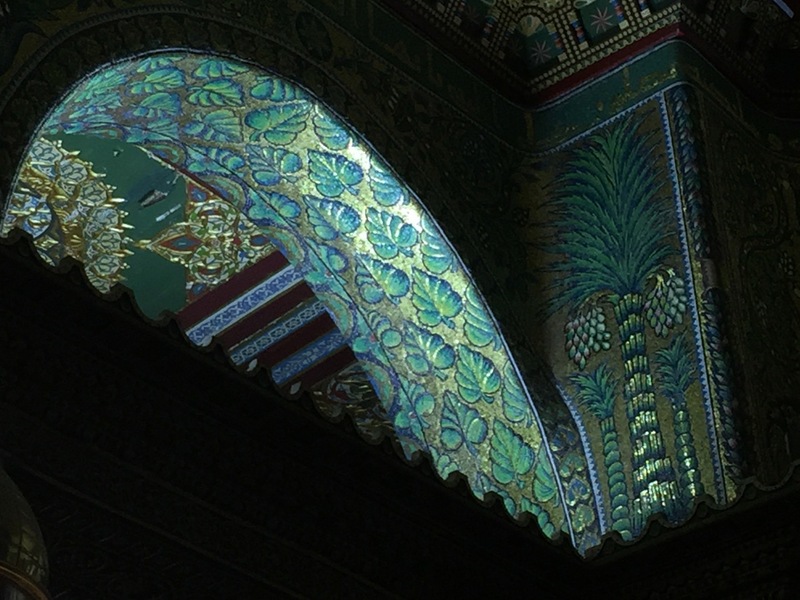 The Holy Land is a powerful theme in much Western art, but the land itself preserves a rich heritage of religious art from the Jewish, Christian and Muslim traditions. In this program, students engage with the Holy Land through a focus on media such as architecture, icons, inscriptions, mosaics, olive wood, sculpture, and stained glass windows. The course will also address chosen themes, including Jerusalem in the three traditions, Abraham, Annunciation and the Nativity of Jesus, Holy Week, Crucifixion, Resurrection, the Jordan River, and Wilderness. Dr. Boehm has published a book that coincides with this excellent study program. Please join us at St. George’s College for this on site discovery, in depth reflection and faith deepening journey through the eyes of an artist. Barbara Drake Boehm is the Paul and Jill Ruddock Senior Curator for The Cloisters of The Metropolitan Museum of Art. Dr. Boehm’s research focuses on the intersection of creativity and faith. Her exhibitions for the Metropolitan include Prague: The Crown of Bohemia; Choirs of Angels: Painting in Italian Choir Books, 1300-1500; Enamels of Limoges, and Prayer Book for a Queen: The Hours of Jeanne d’Evreux. With Dr. Holcomb, she was curator of the focus exhibition series Medieval Jewish Art in Context. Beyond the Met, she contributed to Treasures of Heaven: Saints, Relics and Devotion in Medieval Europe (Cleveland, Baltimore, London). A graduate of Wellesley College, Dr. Boehm received her Ph.D from the Institute of Fine Arts, New York University. Dr. Boehm serves on the Vestry of the Episcopal Church of Saint James, Upper Montclair, New Jersey and is a trustee of the American Friends of the Episcopal Diocese of Jerusalem.